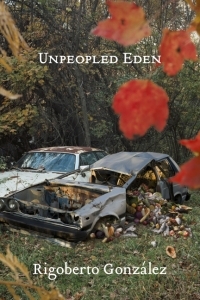 Unpeopled Eden by Rigoberto González is the winner of the 2014 Lenore Marshall Poetry Prize, the 26th Annual Lambda Literary Award for Gay Poetry, and was a finalist for the Thom Gunn Award for Gay Poetry from the Publishing Triangle. who weep like orphans at my door. prayers but never turn them down. no matter the length of your admission. to another town. You feel alone and empty? Color me surprised! I didn't notice they were gone. to my walls, I didn't earn them. The scratches on the wood are not my scars. they will. I am not a time capsule. from me. Sentimental hoarding bothers me. in coins as it gets dragged out to the porch. born. I am not a prize or a wish come true. riddance, grotesque fantasy and mirth. patron saints are longing and despair. "In these moments of sheer brutality, we witness Gonzalez crafting music out of incorrigible suffering. He looks at the ugly and asks us to look again. Gonzalez caresses us, lures us to his page, points our chins to his words, and says, 'look there, I dare you to eat.'" Read the full review. “In his fourth collection of poetry, Rigoberto González crafts a world contingent upon its border, demanding you to consider the space a border creates within itself, the space created outside of its bounds, and what’s left of the abandoned after one crosses over." Read the full review. "In the chaos, everything is transforming into something else. This combination of hard-hitting politics and surrealist technique creates powerful poems. What makes Gonzalez such an exemplary poet is that he makes his politics and his aesthetics work in tandem." Read the full review in the Fall 2014 issue. 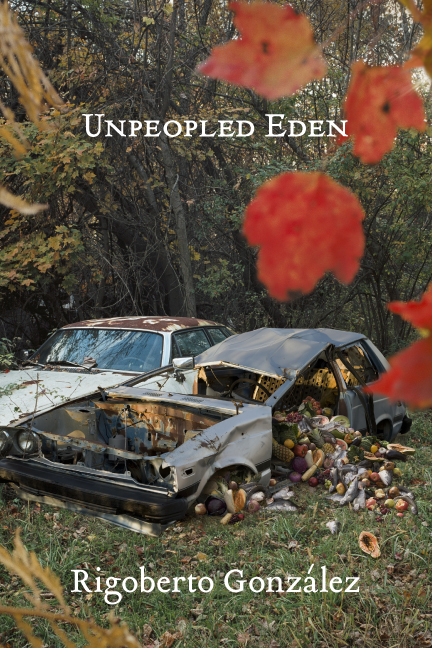 "The poems in Unpeopled Eden are at once magical and chilling, lyrical in how they render these traditions into image and utterance, but without softening the violence or dampening the pain. They are documentary of the migrant tradition without getting mired in realism, and they are epic in perhaps the only sense we can have today: these poems tell the story of a people through the aftermath of their trials." Read the full review in Pleiades 35.1.